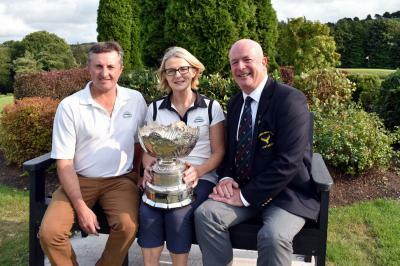 Congratulations to Angela Hayes & Glenn Bain winners of the Munster Mixed Foursomes held in Muskerry Golf Club 26/8/2018 with great score of 66. Css Saturday & Sunday 70. Best Gross Eithne Hehir 82. 3rd Danny Halpin, Jim Browne & Martin Sexton 51 pts. 3rd Anthony Ryan, Michael Alymer &Tom O Rourke 63.4. Presidents prize John Keogh & Rosamund Grogan this weekend we wish both great weekend, prize giving Saturday 9.30pm sharp. Joker fundraiser jackpot not won Lucky Dip Margaret Dooley wins €30.00.